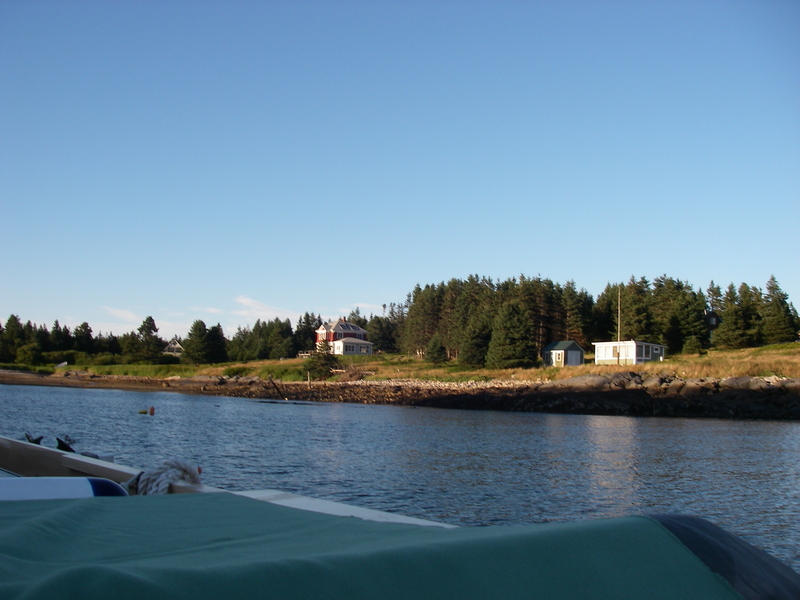 The other day a friend visited, and we had a nice time talking about her visits to Isle au Haut, and my own stop there last year. 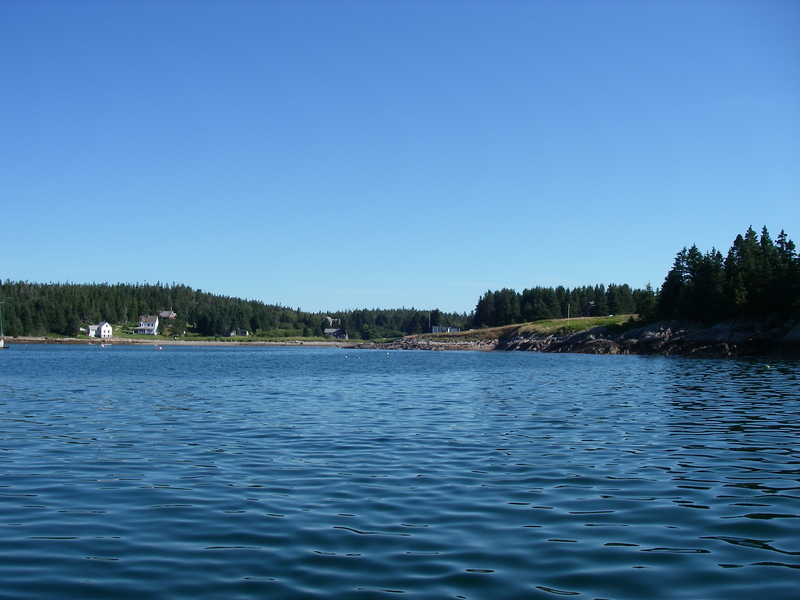 Much of Isle au Haut, outside of the village and year-round local community, is part of Acadia National Park, even though Isle au Haut is a separate island roughly 15 miles south and west of the main park. 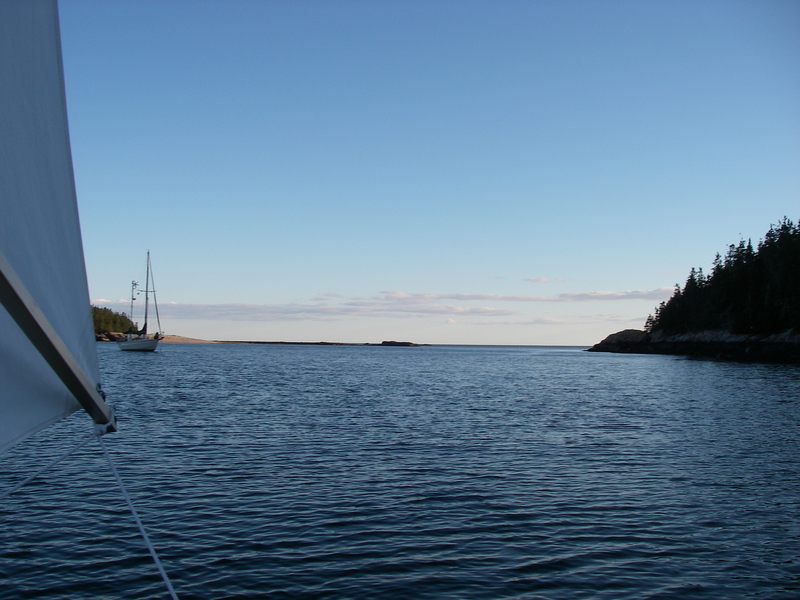 Last year I spent a night in the small Head Harbor at the southeast corner of the island, enjoying the remote feel of the tiny community on the wilder side of the island, and the beautiful countryside. In looking today to find photos to send to my friend, I realized that I never did put anything about that on the blog. So today, here are some pictures, and a little bit of a story. Looking on the chart, you would not think that this harbor was going to be particularly comfortable. 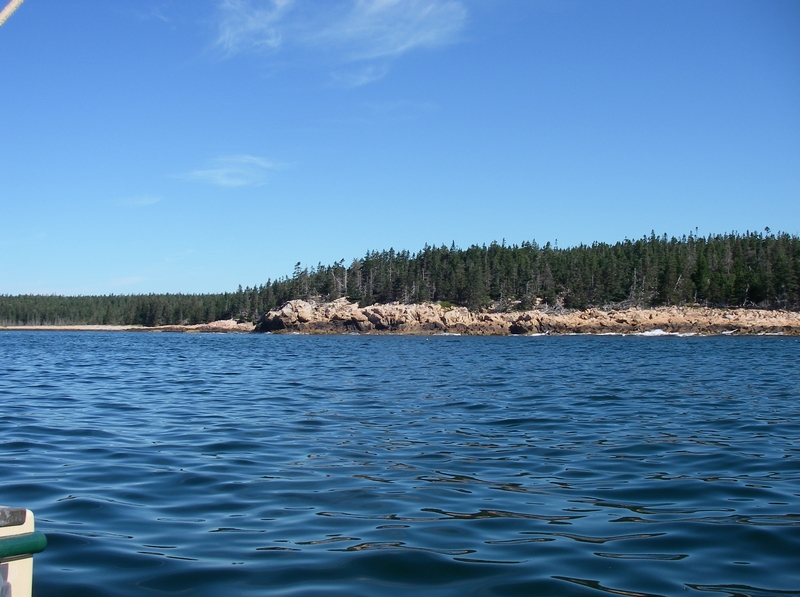 It opens to the south, directly to the open water, and the entire island is already a little ways out to sea. 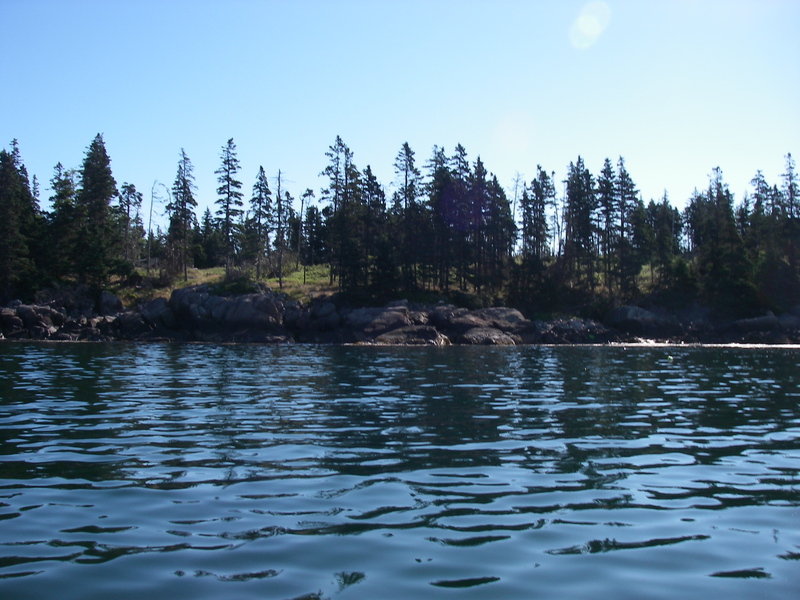 Going in here was not my original destination – I was trying for Swan’s Island, having started early that morning from Birch Island, at the southwest corner of Penobscot Bay, and going outside, around the south shore of Isle au Haut. That’s quite a haul, and the wind was slacking off, as we got into the afternoon. As it turned out, the dropping wind opened up a great opportunity that I wouldn’t have chosen otherwise. 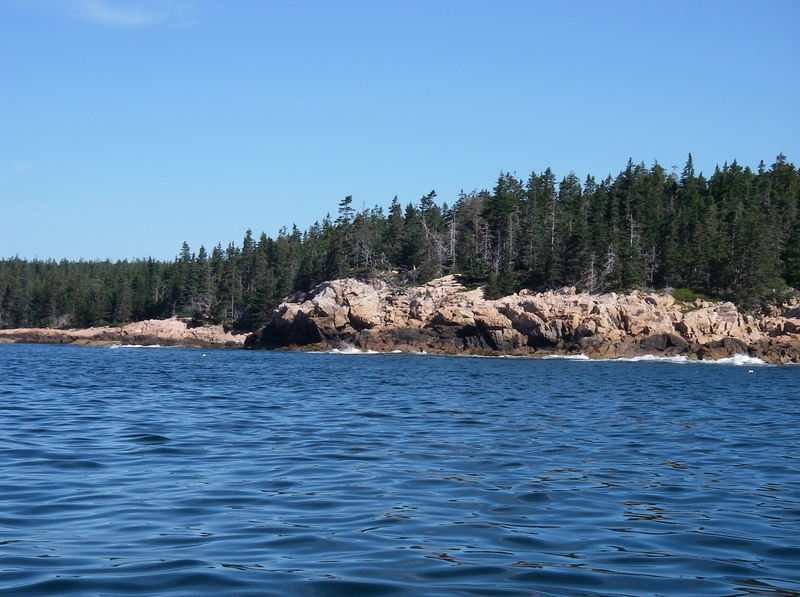 Head Harbor is in fact somewhat protected, and just like the cruising guide says, not nearly as much of the swell gets in as you would think, to look at it. 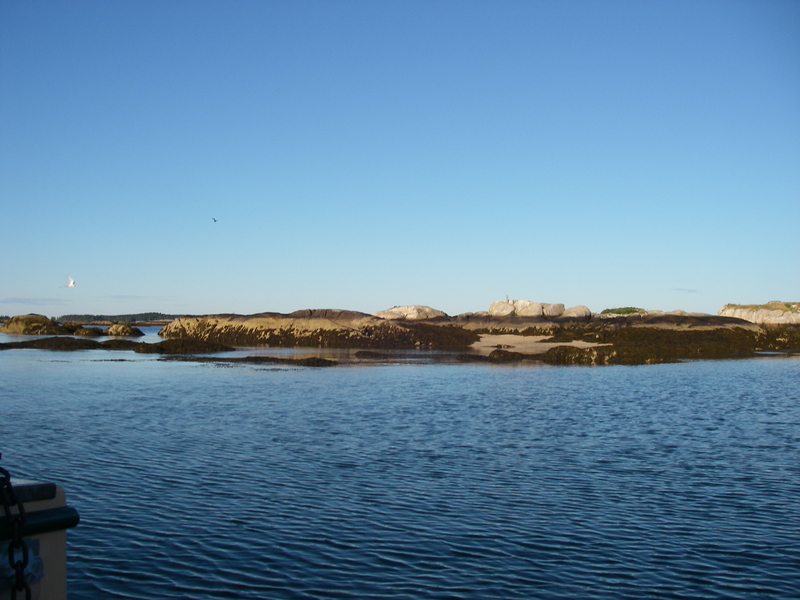 This is especially true with a very shallow draft boat, so you can go in right up toward the inside end of the harbor, with just enough water at low tide. A larger boat anchored a little farther out still did some rolling. Being there worked out just fine for the night, and leaving in the morning I was surprised to see how much swell there was – I wouldn’t have known, from the inside. The shore, from rocks, to trees, to meadow, is just beautiful, and I hope to go back. Shemaya, those are really beautiful pictures. What a great place to visit.